Can the USA change the trajectory of a potential humanitarian catastrophe in Idlib? The United Nations has warned of a major humanitarian catastrophe if the offensive takes place in the enclave where some three million people live - about half of whom have already been displaced in the seven-year war. That's right, unnamed United States officials are now claiming to be in possession of intelligence which they say shows Assad has already given the order in an absolutely unprecedented level of "pre-crime" telegraphing of events on the battlefield. 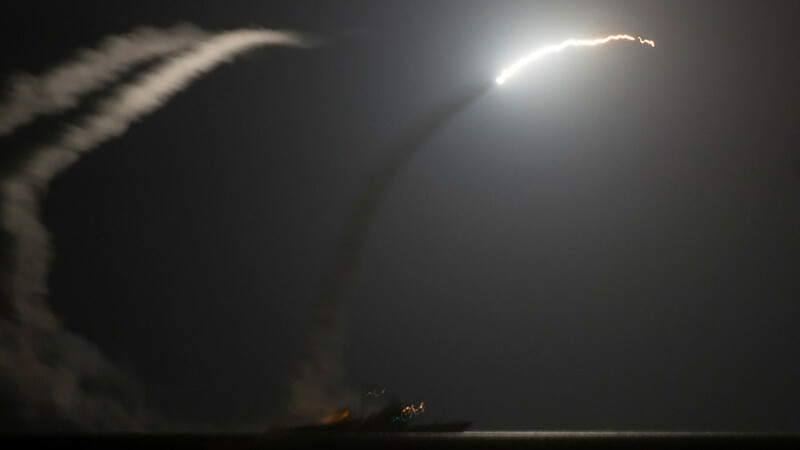 The attack, which came in response to what the U.S. and its allies insisted was another chemical attack in Douma, on the outskirts of Damascus, saw 105 cruise missiles being fired from sea and air at Syrian government targets. The government of Syrian President Bashar al-Assad, backed by allies Russian Federation and Iran, has been preparing a large-scale military onslaught to capture the northwest province of Idlib, the last rebel stronghold in the country hosting some three million people, and adjacent areas. Since 2015, Idlib has been home to a complex array of anti-regime forces: secular rebels, Islamists, Syrian jihadists with ties to Al-Qaeda - and their foreign counterparts.